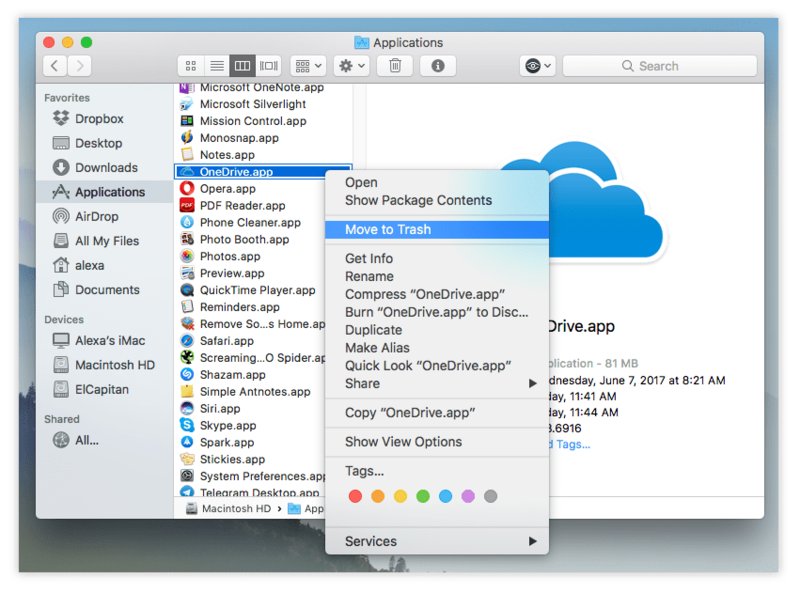 If you have downloaded the OneDrive Mac app but don’t use it, you should uninstall it so that it does not take up useless disk space on your Mac. 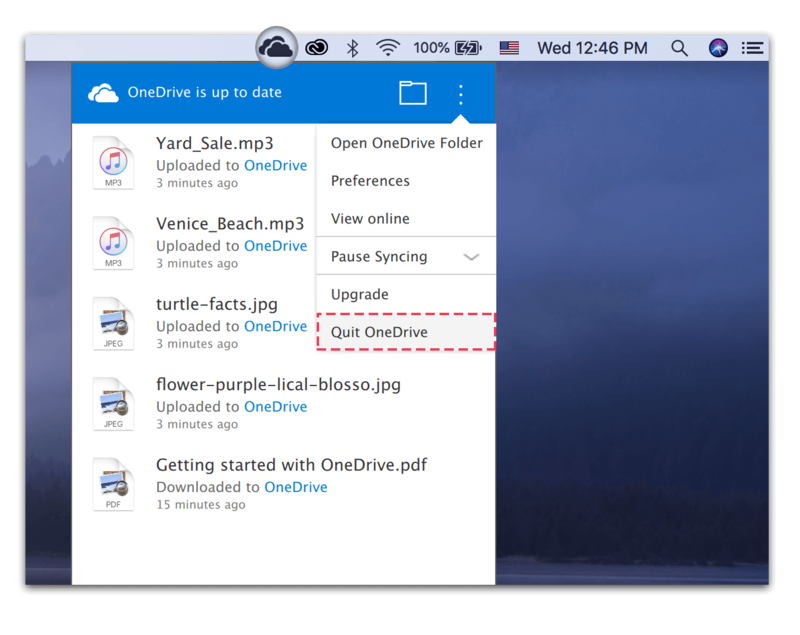 In this article, we will tell you two ways to uninstall OneDrive correctly. Remove OneDrive using App Cleaner. First, you should close this app and terminate all processes related to OneDrive work. For this, go to the toolbar → click OneDrive icon→ Settings → select Quit OneDrive. Then you need to delete the OneDrive executable file. Go to the Applications folder in the Finder, call the context menu and select Move to Trash. 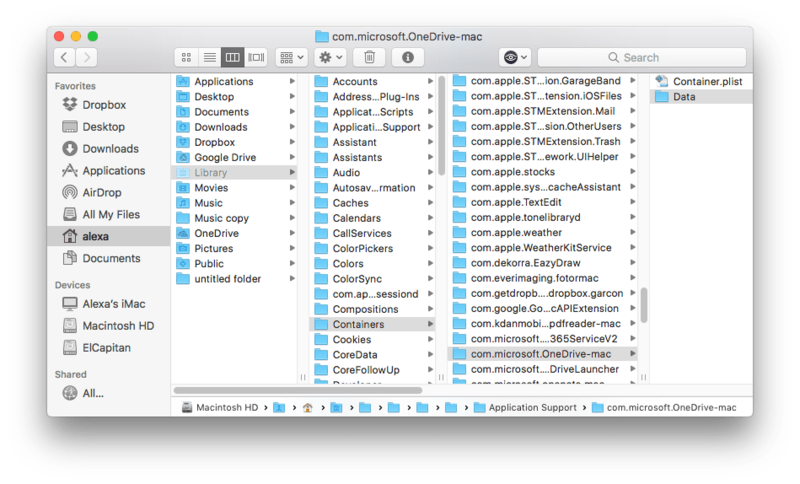 After this, it is important to clean up remains – all service files of OneDrive which are still left on your Mac. Usually, the support files of applications are stored in the following subfolders of the system Library folder. You should find and remove them. We have searched for Onedrive files with the help of free tool Funter and discovered that they are scattered across numerous subfolders. Take a look at the screenshot. That’s why we highly recommend using permanent uninstallers when you need to remove applications completely. You can use a free tool App Cleaner PRO, designed for this purpose. So let’s move to the second way to remove OneDrive. 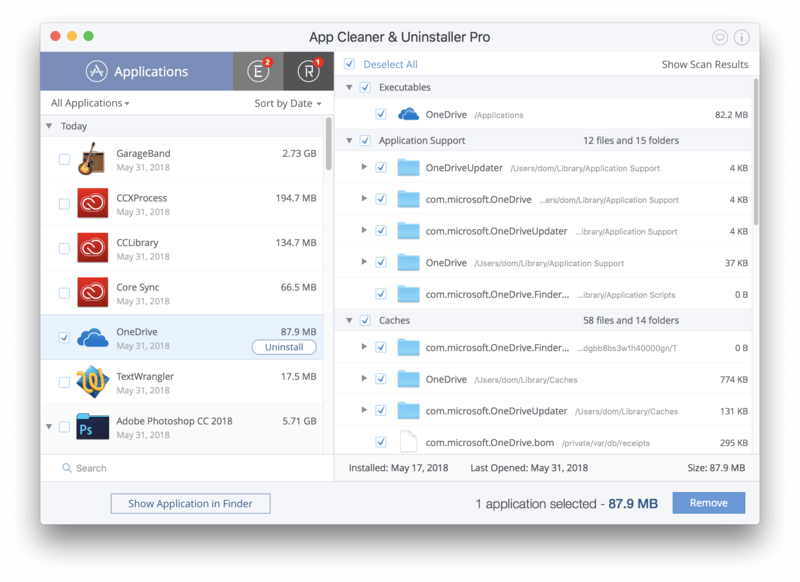 Download App Cleaner & Uninstaller and launch it. Find OneDrive in the list of scanned applications. Select it and click the Remove or Uninstall button. That’s all. As we might have mentioned earlier, this removal tool allows you to uninstall any app easily and safely.